First installed in 2003 and made by Christchurch artist Phil Price Zephyrometer is a 26 m tall wind-and-gravity-activated kinetic sculpture. It is a civic sculpture made of various types of steel, wood and composite materials. ‘Zeph’ was made by Christchurch artist Phil Price and was installed in Wellington in 2003. Wellington is located at the southern tip of Aotearoa / New Zealand’s North Island / Te Ika-a-Māui and sits plum in the middle of the Roaring 40s. In addition the geography of narrow Cook Strait separating North & South islands funnels the strong westerlies which is why the capital is notorious for its wind. The visual I illustrated for Phil Price’winning entry into Meridien Energy’s Wind Sculpture competition for 5 kinetic sculptures on the foreshore of Evans Bay, adjacent to the airport. Zephyrometer is situated in one of the capital’s windier spots en-route to the airport on the foreshore of Evans Bay which means it has been enjoyed by millions since 2003, and sees it regarded with some affection and pride by many Wellingtonians. 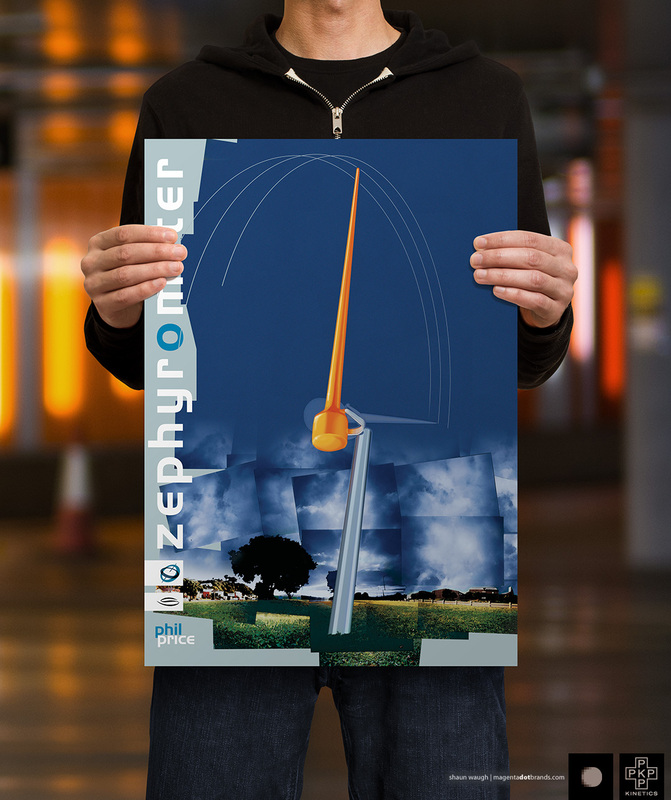 My involvement with the Zephyrometer project began in 2002 when I was commissioned by Phil to illustrate several visuals of the work and layout his successful submission to the Meridian Energy Wind Sculpture Walk competition. Zeph is a is a wind-and-gravity-activated kinetic sculpture consisting of a 3250 kg ‘balanced’ lead counterweight housed in a durable composite shell fixed to a gimbal at the base of a 26m tall needle.